…to the 9th International LAMS & Learning Design Conference webpage. The LAMS Foundation and LAMS International are pleased to announce that the 9th International LAMS and Learning Design Conference will be hosted in Singapore on November 26-27th by the Lee Kong Chian School of Medicine, a partnership between Nanyang Technological University and Imperial College London. This conference follows on the success of the eight previous International LAMS Conferences from 2006 to 2013. 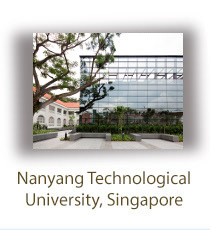 The 9th International LAMS and Learning Design conference will be held on the main campus of Nanyang Technological University, with academic presentations on the 26th, and LAMS training workshops on the 27th. For more information, email: James.Dalziel@mq.edu.au.